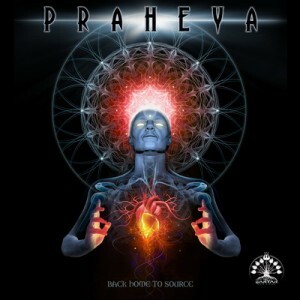 Welcome to Back Home To Source, four musical footprints on this plane of existence channeled by Praheya, an artist based in the heart of the Austrian alps. This is his second release to land on Ektoplazm, following up on Crossing The Rainbow Bridge, which was also presented by Banyan Records. Special thanks to Silly Twit for their cooperation on “Nada Brahma” and the mastering! Mastered by Matakana with artwork by Ayalien. MP3 Download | FLAC Download | WAV Download · Download count: 7,347. Thanks andi and congratulation for this nice work :-) the music is like you…straight true spirituallly … keeep on and happy to have you on board. Just wanted to say that I love this style! Materialized Paradise blew me away. Praheya is beast!